In a cesarean birth (C-section), the baby is delivered through an incision in the mother’s abdomen and uterus (womb). 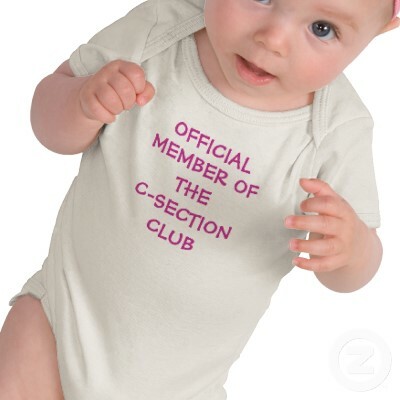 C-Section births exceed 30% in USA, Brazil, Italy, Mexico, Turkey, Korea, Portugal, Australia, Thailand, and other countries. China is the only country where C-section births exceed 40%. The number of cesarean sections in the U.S. has risen nearly 46% since 1996. Every C-Section is a major abdominal surgery that leaves a scar. The size of your C-section scar will depend on several factors: the size and position of the baby, whether the C-section was planned or not, etc. Generally, the C-section scar is around 4-6 inches (10-15 cm) long and 1/8 inch (0.3 cm) wide. Usually the “bikini cut” incision is used but sometimes the “classical” incision will be made vertically from just below the belly button (naval) to just above the pubic bone. To close the wound, some surgeons prefer to use staples whereas others still use suture; there is little statistical evidence to show that one way or another will increase or decrease the size or the appearance of the scar. Treatment. Initially, the C-section scar will be red, raised and could itch. After the wound is closed you should start using a silicone based product like Strataderm to make the scar softer, flatter and smoother and to relieve itching. The majority of women will develop “mature” C-section scars by the sixth month after delivery. If you have darker skin and/or are prone to keloids you should consult a physician before the C-Section. Strataderm is a rapidly drying silicone gel for treatment of scars and prevention of abnormal scars. It softens and flattens scars, relieves itching and discomfort, reduces redness and discoloration. Want to know more about Scars?